This is like iOS UIActionSheet component, has iOS6 and iOS7 style, support custom style, background, button image, text color and spacing etc. show() Show ActionSheet, return ActionSheet Object，call dismiss() method of ActionSheet to close. onOtherButtonClick() Click item event，index is item index. 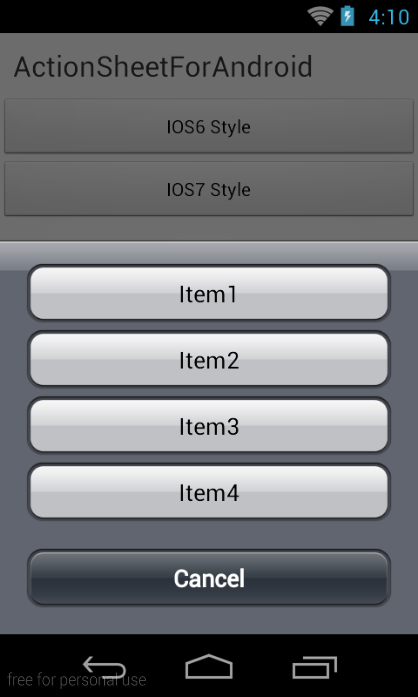 Default style is bad，ActionSheet has iOS6 and iOS7 style，you can configure the theme. 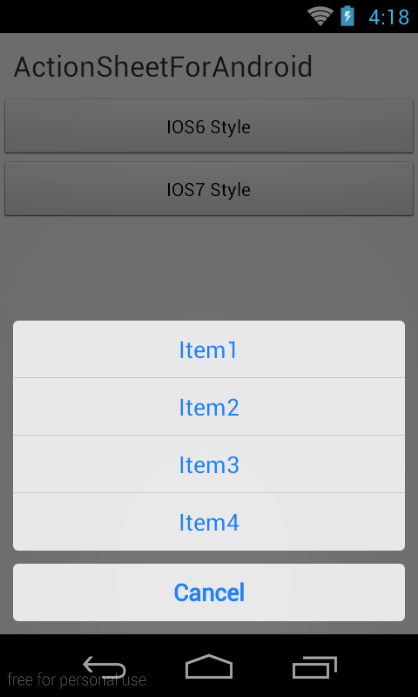 You can custom style, can refer to ActionSheetStyleiOS6/ActionSheetStyleiOS7 writing.